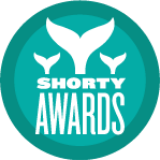 Best Ever You has been nominated for a Shorty Award in small business! Thanks to your votes we are currently in 3rd place. Each person can vote only once. 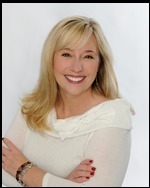 Hay House author, Elizabeth Hamilton-Guarino is the CEO and Founder of The Best Ever You Network and host of top-rated program The Best Ever You Show, on Blog Talk Radio. Elizabeth, a mom of four boys, has a degree in Mass Communications and Broadcasting, is a Certified Professional Life Coach and is a food allergy expert and survivor. The Best Ever You Network (www.besteveryou.com) is a leading multi-media provider of lifestyle content to help you be your best. Elizabeth's book Percolate - Let Your Best Self Filter Through is set to be released August 20, 2013 (Hay House).